As part of the Lexington Art League's push to show that art is for everyone; big and small. 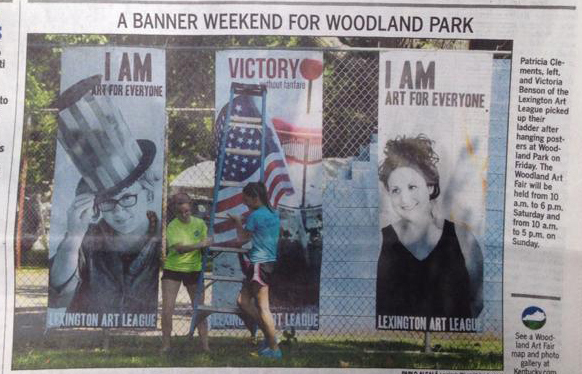 A banner campaign was created and premiered at the 2014 AFB Woodland Art Fair. Featuring prominent figures in the LAL Family, and pops of warm colors to reflect the STORY Magazine photo shoot, LAL put a face to their outreach. 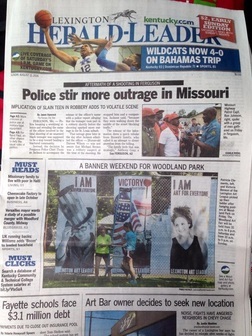 Above: Banners featured on front page of the Lexington Herald-Leader. Right: Enlarged Image.